Supervision has always been an essential social work function. It is routinely provided to social work students and to clinical, case management, policy, and administrative staff. As in relationships with clients and colleagues, social work supervisors must maintain proper boundaries in their relationships with supervisees. In principle, supervisees can be exploited or harmed by inappropriate dual and multiple relationships. Supervisors exercise some form of authority over supervisees, and this imbalance of power can lead to exploitation or harm if supervisors do not handle it properly. Recently, I consulted on two very different ethics cases involving ambiguous boundaries between social work supervisors and their supervisees. In one case, a social worker in an employee assistance program supervised a recent MSW graduate who had just moved to town. Over time, the two became friendly. The supervisor and her husband occasionally invited the supervisee to their home for dinner. Eventually, the supervisor introduced her son to the supervisee and the two began dating. The supervisee spent increasing amounts of time with the supervisor and her family. Dual and multiple relationships between supervisors and supervisees can take various forms, including personal, religious, political, or business relationships. Supervisors should avoid dual relationships that have the potential to interfere with the quality and objectivity of their supervision. In this case, for example, the social work supervisor may have found it increasingly difficult to be objective in her supervision due to the blossoming relationship that was developing between her son and her supervisee. More specifically, this kind of dual relationship can compromise the quality of the supervisor’s performance evaluation. Because of the considerable consequences often associated with job-based evaluations, supervisors must evaluate supervisees’ performance in a manner that is fair and perceived as being such. This protects supervisees, clients, and the broader public. Evaluations that exaggerate a supervisee’s skills, perhaps due to favoritism arising from a dual relationship, could lead to unwarranted promotions and, ultimately, could place that social worker in increasingly responsible positions for which she or he is not qualified, thus exposing clients and others to risk. In addition to being concerned about acts of impropriety, social work supervisors also need to be concerned about the appearance of impropriety. Although actual impropriety is patently problematic, the mere appearance of impropriety can have dire consequences. Understandably, other staffers involved in this case may have been upset by the close personal relationship developing between the social work supervisor and her supervisee. Staffers may have been concerned about favoritism, which can have an adverse impact on their morale. The second case on which I consulted posed very different issues involving boundaries between a supervisor and supervisee. In this case, a social worker at a nursing home served as a field instructor for a second-year MSW student who was enrolled at a nearby university. The two had a very good working relationship. About halfway through the field placement the field instructor learned that she would need kidney replacement surgery. The field instructor shared the news with the student, and the two of them discussed supervision options. Toward the end of the conversation, the field instructor told the student that her doctors were having considerable difficulty finding a donor with an acceptable antigen match. The student decided to have herself tested as a possible donor. To everyone’s surprise, the student was a positive match. The field instructor was delighted to hear the news but uncertain about accepting a kidney from her student. Some dual and multiple relationships between social work students and supervisors are unethical and some are not. Sexual relationships between supervisors and students are unethical, pure and simple. However, other dual relationships involve more complex and subtle issues, as in the case involving the social work student who wanted to donate a kidney to her field instructor. As with any dual or multiple relationship, the challenge is avoiding the risk of exploitation or potential harm to the person in the subordinate position. The remarkably altruistic student certainly has the right to donate her kidney to the field instructor, if she so wishes. In fact, such generosity is admirable. Social workers should be alert to and avoid conflicts of interest that interfere with the exercise of professional discretion and impartial judgment. Social workers should inform clients when a real or potential conflict of interest arises and take reasonable steps to resolve the issue in a manner that makes the clients’ interests primary and protects clients’ interests to the greatest extent possible. In some cases, protecting clients’ interests may require termination of the professional relationship with proper referral of the client (Standard 1.06[a]). Social workers should not take unfair advantage of any professional relationship or exploit others to further their personal, religious, political, or business interests (Standard 1.06[b]). 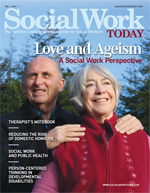 Social workers who function as educators or field instructors for students should not engage in any dual or multiple relationships with students in which there is a risk of exploitation or potential harm to the student. Social work educators and field instructors are responsible for setting clear, appropriate, and culturally sensitive boundaries (Standard 3.02[d]). The field instructor in this case had a duty to ensure that this dual relationship with her student would be consistent with prevailing ethical standards. The agreement that the consultation group reached was that the field instructor would terminate her formal supervision relationship with the student and arrange, with the student’s consent, for a qualified colleague to assume the field instruction duties. This arrangement had several advantages. It provided a heartwarming opportunity for the student to help save her field instructor’s life. At the same, the arrangement sidestepped any impropriety, appearance of impropriety, conflict of interest, or risk of exploitation. Finally, the student was able to arrange for alternative, competent field instruction. To everyone’s satisfaction, what appeared to be a daunting ethical challenge was resolved fairly easily and in a manner that was completely consistent with prevailing ethical standards in social work. A vital lesson in this case is that sometimes complex ethical issues can be resolved with fairly simple solutions. Often the key ingredients are an earnest willingness for social workers and their colleagues to collaborate, a deliberate effort to consider and be guided by ethical standards in social work, and thoughtful, creative problem solving.